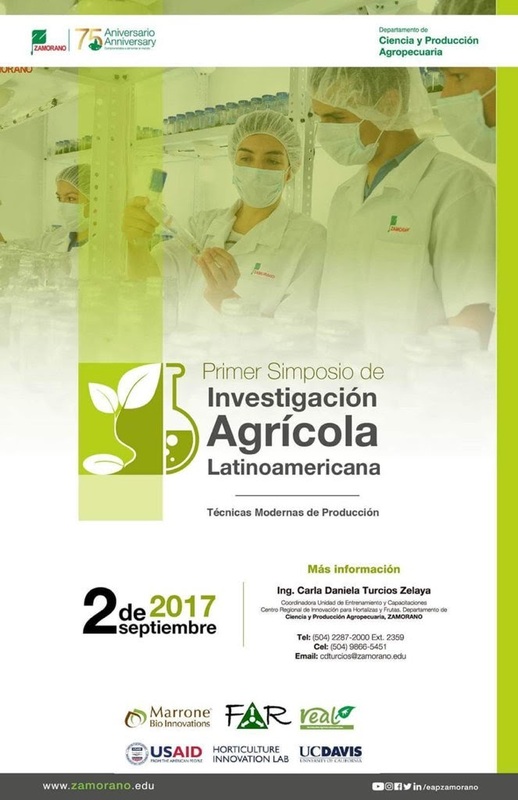 Earlier this month UF-ABE PhD Candidate Maria Zamora traveled to Central America to present her research at the first ever Simposio de Investigacion Agricola Latinoamericana. Ms. Zamora studies how nutrients and water interplay in the soil profile in agricultural settings. The work she presented at the symposium was titled: Using soil moisture sensors to monitor irrigation in corn production in Florida. Upon returning from her travels, Ms. Zamora spoke to IrriGator about her experience. 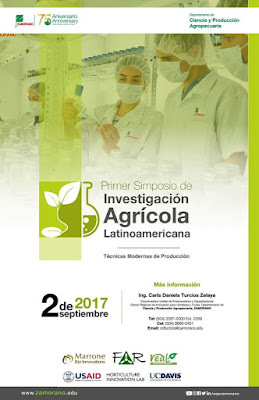 How did you get invited to present at the Simposio de Investigacion Agricola in Universidad Zamorano? MZ: A former graduate student from UF, Dr. Emmanuel Torres-Quezada, was hired as a professor at Zamorano. He has different ideas about how to collaborate with universities around the world so he developed this symposium, which is the very first symposium in Zamorano focused on how we can use technology to improve production in different agricultural crops. What can you tell us about your symposium experience? MZ: It was a one day symposium and the idea was to present to growers, students and faculty ongoing research that arrives at solutions using technology. For example, my talk was about how we can use soil moisture sensors to determine when and how to irrigate, and how we can translate that into water-savings and nitrogen leaching reductions to avoid the environmental impacts of nitrogen leaching. The idea was to demonstrate how research can be applied and how we can help growers using different technology. We covered topics like irrigation, using bio-fertilizers, and using different types of materials to reduce contamination with plastics. Any talk you were especially interested in? MZ: I really liked one talk from a Zamorano faculty member - Dr. Emmanuel Torres-Quezada. He is trying to adopt practices developed during his dissertation here at UF to conditions in Honduras. He works with optimizing early yield in strawberry production. They are trying to find ways to acclimate plants, or bring them in acclimated, to reduce inputs but still achieve high yields. It’s ongoing research but it’s interesting how they are using strategies that worked here in other places like Honduras. MZ: There was lots of interest in the project and how it was performed. 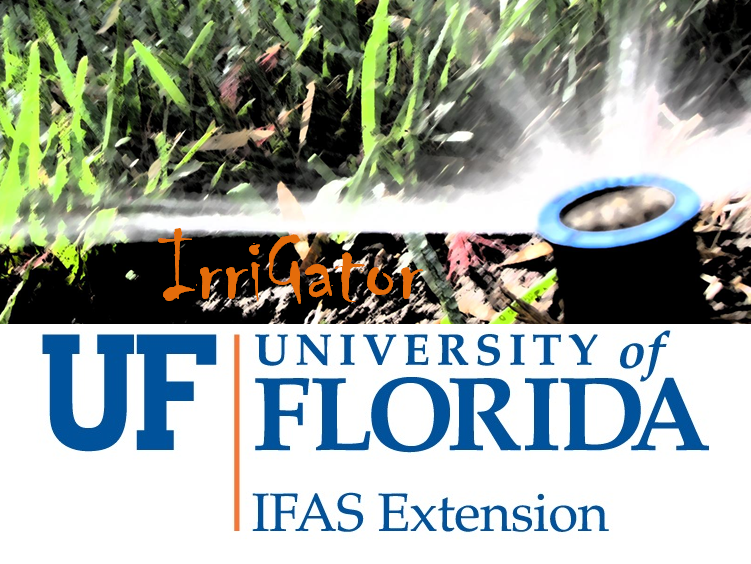 Water and fertilizer is an issue not just in Florida but other places. One researcher approached me later asking about reducing nitrogen leaching in a soil like theirs, which is completely different. I mentioned to her that sensors can be helpful for monitoring how nutrients are leached into the soil profile; however, they can use simpler techniques like measuring for nitrogen in their runoff if leaching is suspected. Using the same principles in my presentation it was easy for me to explain to her how she can help growers visualize that they are losing nutrients. Are there plans to continue this symposium in the future? MZ: People were very engaged and the feedback was very good so I believe they will try to do it again next year or the following year. That’s the main goal. Since this was the first one they wanted to be sure people were interested. It turned out well. Hopefully it will be a channel of communication between the university, students, faculty, and growers so everyone can have research-based feedback. All the research was evidence-based and then translated into how it could be applied. It was a good breakdown of research and extension – bringing research-backed findings to the people in a way that can be applicable.